Mother Goose originated from Dunedin in November 1975. They were six rock musicians who wanted to play rock music. But they didn't want to be part of the regular 70's style rock bands that were around at the time. So to be different they decked themselves in hideous costumes, labelled themselves with the dumbest name they could think of and started playing in pubs, where they became hugely popular. 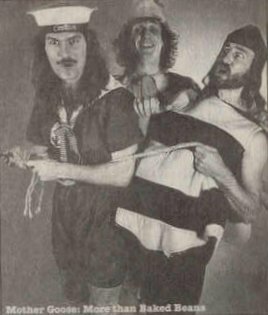 Early in 1976 the group toured Auckland and burst on to the scene there with a strong theatrical show, taking bizarre appearances to absurd lengths. After a successful concert at Albert Park, the group decided in October 1976 to head across to Australia. They arrived in Sydney and began working for the Dayman Organisation. They were spotted by Garry Spry, who was so impressed by their act that he took over their personal management and moved them down to Melbourne. Their approach to rock was unusual to say the least, with their performances involving mime, satire, novelty songs and some very clever playing and vocalising. In fact they would never cease to amaze fans with the way they could move about so much on stage and yet retain such a high standard of musicianship. Even their appearance was bizarre with each member portraying a different character, a sailor, a pixie, a mouse, a baby, a ballerina and a bumble-bee. The group was signed by Mushroom Records and their first single "Backed Beans" was released midway through 1977. Aided by an outrageous film clip which became popular on TV rock shows, the record made the charts in September. 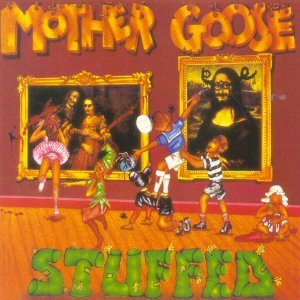 In August 1977, their first album "Stuffed" was released. Within one month sales of the LP had topped the 15,000 mark and a second single "Moonshine Lady" was released in the wake of the albums success. During August, the group also toured with Supercharge. Late in September they returned to New Zealand to rest and get a new act together. They were back in Australia two months later and they rounded off 1977 with a national tour. At the end of the year they were voted "Best Stage Act" in Ram Magazine's rock poll. Mother Goose had a major breakthrough in March 1978 when manager Garry Spry returned from a trip to the US, UK and France with news that he had successfully negotiated overseas record deals, agency representation and an itinerary. Their final Australian performance before leaving for Los Angeles was at the Dallas Brooks Hall in Melbourne on May 28th. In the US, the band settled in Hollywood and had their own recording studio. They were to record an album for the Scotti Brothers (on the Scotti-Atlantic label) but the band was not happy with the contract and refused to be just another American pop group, so they moved to New York. There they quickly became a major rock club draw-card. But contractual battles between management companies on each side of America and the bands refusal to become a disco group prevented them from securing a major recording contract on their terms. They returned to Australia in February 1979 with new American member Justin McCarthy. He replaced Pete Dickson on lead guitar. While they had been away, a single "I Think It's You" was released in June 1978. During March and April 1979, an east coast and southern Australian tour titled "Catch Us If You Can" kept the band busy. 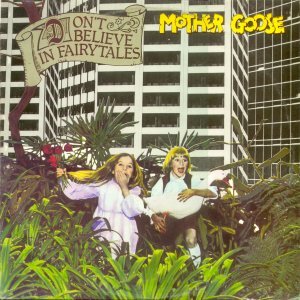 In October 1979, Mother Goose returned to New Zealand for a three week tour which was followed by an Australian tour to promote the release of their second album called "Don't Believe In Fairytales". A single "Living In A Silent Movie"/"Alice (It's Up To You)" was released from it in December 1979. There were considerably gaps between the next three releases, "Saving For A Rainy Day"/"All The Kings Horses" in June 1980, "I Can't Sing Very Well"/"You Take It Too Seriously" in July 1981 and "Marguerita and Me""/"Fly By Night" in March 1982. Early in 1982 founding member Steve Young left Mother Goose and was replaced by Neil Shilkin. 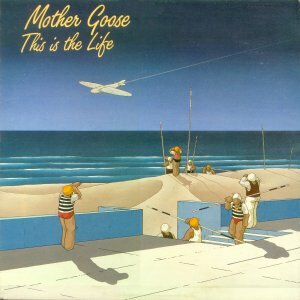 Their third and final album was in June 1982 and was called "This Is The Life". Along with it came the single "Lonely Girls"/"Living In A Small Town". Then followed "Tonight"/"Welcome To The Radio" in October 1982 and "Find A Way Out"/"Girls Across The Street" in July 1983. In early 1983 Mother Goose was based in Melbourne and Pete Dickson rejoined after stints with Magic and Manlaxe. Justin McCarthy returned to New York. They continued touring Australia and Canada until they called it a day in 1985.